In the history of film music over the last six decades one name stands supreme as the most prolific and celebrated composer working in cinema today… John Williams. His astounding collection of awards remains unrivalled including 47 Oscar nominations (five wins) surpassed only by Walt Disney. Add to that four Golden Globes, seven BAFTAS and twenty-one Grammys. His themes have become part of the fabric of the history of cinema, part of a cavalcade of blockbusters that include the Star Wars saga, Indiana Jones, Harry Potter, Jaws, Superman and many, many, more that are all included on this superb collection. 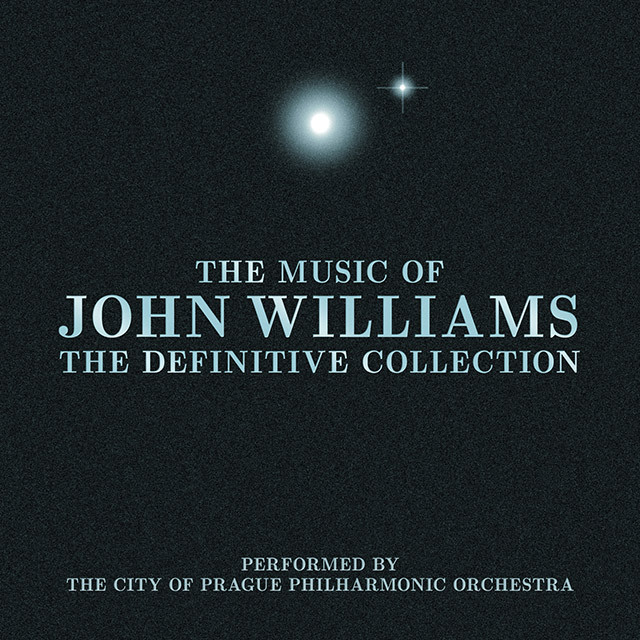 The City Of Prague Philharmonic Orchestra pay tribute over this six CD set that defines his monumental career. With 88 tracks and over seven hours of music this release is the ultimate collection of this outstanding composer who celebrated his 80th birthday on February 8th this year and has now observed a 40 year screen partnership with Steven Spielberg.